Jazper Rhiannon-Knight, born Jazper Knight, is the adoptive son of Deuce and Dierdre Rhiannon. Previously, he was a member of Jaded Shadows, Twilight Vale, and for most of his first four years, Crimson Dreams. Jazper ultimately moved on to found Casa di Cavalieri, and spent several years there as Sole and leader. Eventually, he stepped down as leader after being injured during the Syndicate Conflict and left Casa di Cavalieri behind to his successor Alistair and instead joined Midnight Shores to live out the rest of his years and finally become mate to his lover Skye Collins. He resided in the pack as a Gliese for over a year until he died of old age in November of 2016. He was buried in Casa di Cavalieri. Jazper is the patriarch of the current Knight family, and fathered many offspring. 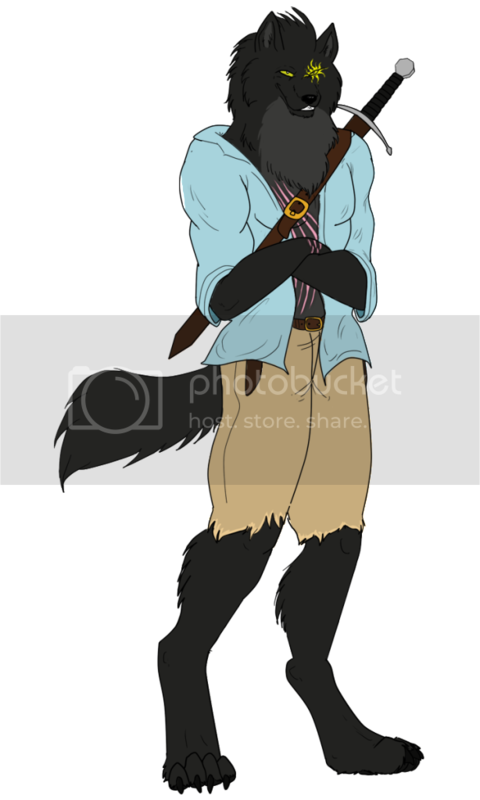 He had five children with his former mate, Ghita Marino (Sophia, Aro, Tony, Lorenzo, and Fia), six children with his current partner and pack leader, Skye Collins (Ares, Esmeralda, Elizabeth, Arthur, Elijah, and Merlin), and three children with his former mate and co-leader, Alyssum de Fonte (Annabeth, Valerie, and Alexander). His first child was born was to his original mate Garnet Massacre, but she perished. He is the adoptive father to Alistair Callow-Knight. Jazper also has grandchildren, and extended relatives in the Damaichu family. 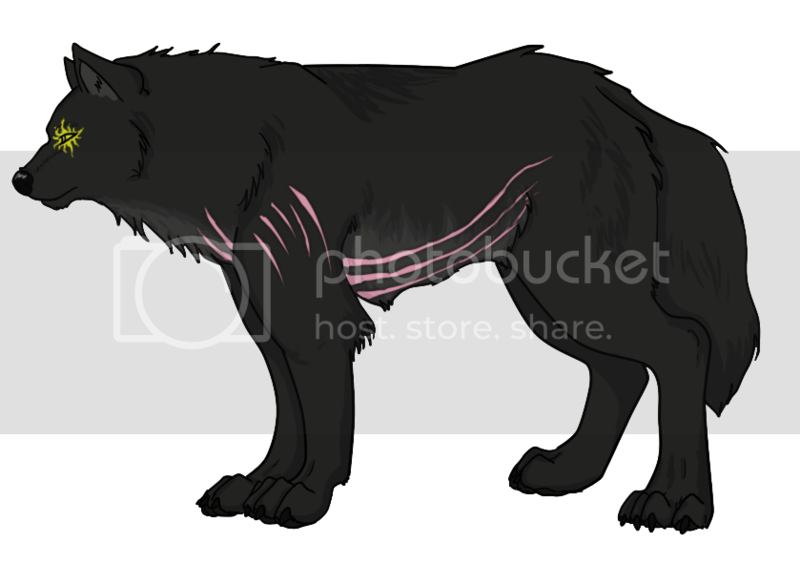 Jazper's father and mother were born into a pack of wolves residing in Scotland. Within the pack the wolves greatly valued size and strength above all things. It was tradition for the largest of the males to mate with the largest of the females in winter in order to produce a batch of healthy over-sized pups in the Spring. 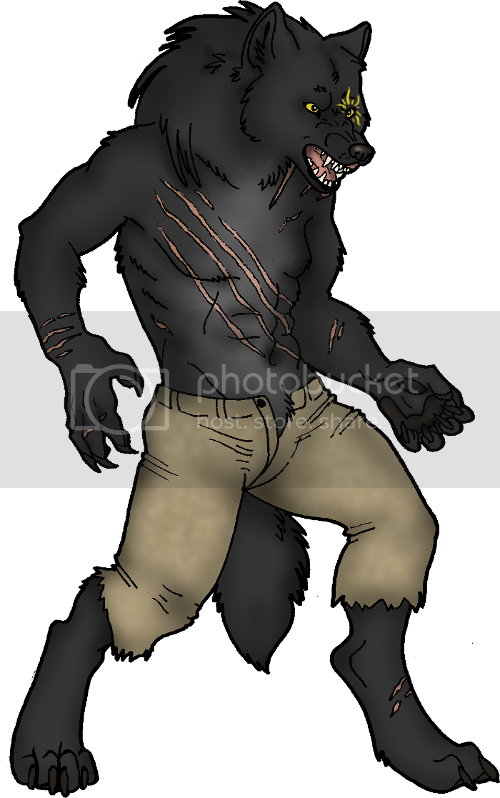 Ares Knight, Jazper's father, fell in love with a smaller female (Taka Angel) causing conflicts within the pack. Taka gave birth to 3 pups in the late fall, a rough time for the birth of natural wolves as winter was right around the corner. Because of his choice of mate Ares and Taka had to leave the pack and flee to Nova Scotia, as it was believed that their children would not be worthy of the Sun Warrior Fenris. Unfortunately two of the pups did not make it past December but one pup, Jazper, had been blessed with the genetics of the pack, regardless of Taka's petite size, making it through the harsh winter. All pups within this pack were taught that they must strive to be the best warrior and please Fenris with their skills. Jazper was raised on the other side of the mountains in a small valley. His father was Ares Knight, a rather large alpha with black fur and light blue eyes. While his mother, Taka Angel, was small with a white coat and bright yellow eyes. He was taught from an early age that the Knights where brought into this world to serve others as protectors and that he was always to take care of those around him. One day his parents had taken him out to play a bit further then usual when a group of coyotes attacked his family. His mother yelled for him to run and he never saw them alive again. Unbeknownst to him, Ares alone survived and returned to Scotland with a broken heart, and eventually fathered another child, Rizzo. He found himself at Jaded Shadows a few days later where he was taken in and adopted by Dierdre Rhiannon who was expecting pups of her own any day. However, this relationship was short lived because the Bleeding Souls was struck by a large forest fire which destroyed everything. Though Dierdre's pups were saved there has been no sign of the wolfess herself since. 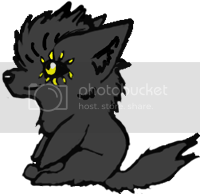 Jazper searched and found Dierdre's mother, Deuce Rhiannon, and her mate Lucifer Sawtooth who took him under their wing upon joining Naniko D'Angelo and Savina Marino during the formation of Twilight Vale. Noah Sawtooth and Taliesin dir Rhiannon became his foster brothers. During this time Lucifer gave Jazper the blood to be able to shift and Deuce taught him to read. Later, Twilight Vale became Crimson Dreams in 2008 and his adoptive parents left, while he was determined to stay at the aid of Savina and Naniko. He eventually met up with a coyote female named Garnet Massacre who he took on as his first mate. She unfortunately had a miscarriage a couple months later and left him a letter explaining that she could not return home to face him, disappearing forever. After a few months Jazper experimented with heavy drinking and met a male named Mahlouk, who he was physically attracted to completely. Mahlouk joined Crimson dreams and become Jazper's mate for a brief time. Mahlouk was murdered by Haku Soul and Lillith Stormbringer in 2009, though Jazper only knew that the male disappeared and was never heard from again. Jazper spent weeks throwing himself into pack activities to stay busy and keep his mind from wandering. In this time he befriended Ghita Marino and taught her to shift and speak English. However, in celebration of her new ability to shift they both became drunk. The night resulted in Ghita's pregnancy which in turn lead to Jazper proposing to the Italian girl, not wanting his children to grow up without a traditional family. The two gave life to two litters, the first a litter of two in 2009 and the second a litter of three in 2010. For two years the couple learned to love each other and respected their differences. Jazper continued to take on a large part of the protection duties for Crimson Dreams. During this time he worked hard to collect various weapons and learn as much as he could about fighting. Becoming a father caused Jazper to become extremely protective of his blood, being the only Knight blood left in Canada. In 2011 during a war between Crimson Dreams , Cour des Miracles, and the tribe Aniwaya, Jazper decided that the only way to prevent such a long winded war again was to have an army prepared. To do this his approached Anann Kelevra about making a pack which would be called Casa di Cavalieri. 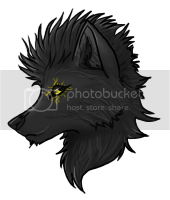 He moved from Crimson Dreams to his new pack on the date of foundation (November, 2011). His departure from Crimson Dreams was far from perfect though. Upon telling Savina Marino of his plans the two instantly disagreed on his intentions causing a fight. Furthermore, Ghita Marino refused to follow him, insisting that his place was in Crimson Dreams and he was selfish to want to leave. Their mateship ended, and Ghita left the country to return to her homeland of Italy. Jazper packed his things and sought out his children to inform them of the situation before leaving to officially open Casa di Cavalieri in 2011. Most of his family came with him, and the pack successfully took root. His close friend Skye Collins, leader of Cercatori d'Arte, worked out an alliance with him that was sealed with the conception of a litter that summer. Jazper became a grandfather in 2012, and also took another mate, Alyssum de Fonte. Alyssum became his co-leader, and gave birth to a litter of three at the end of the year. Unfortunately, a family emergency pulled her away from the pack, and Jazper was left to raise his youngest brood. 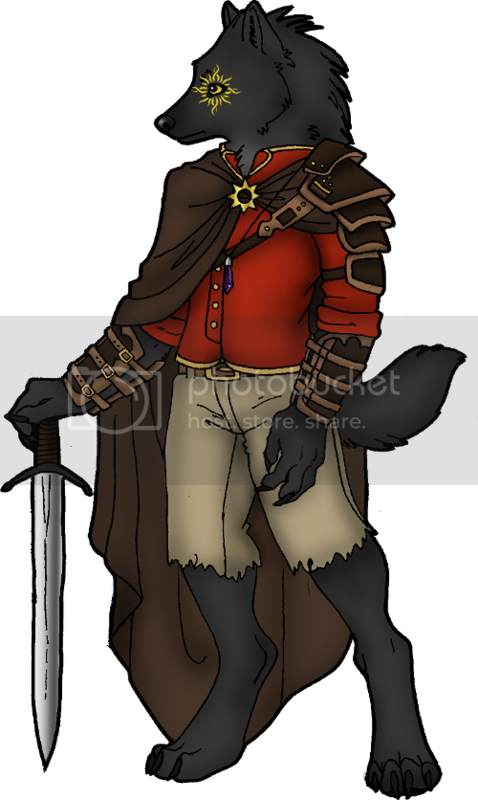 He takes on Alistair Callow-Knight as his new co-leader, and also adopts the man into his family. He is also surprised by the arrival of Tennyson Knight, his nephew by means of his half-sister Rizzo. Growing older his large body took a tool on Jazper, who developed arthritis in his paws and hip. 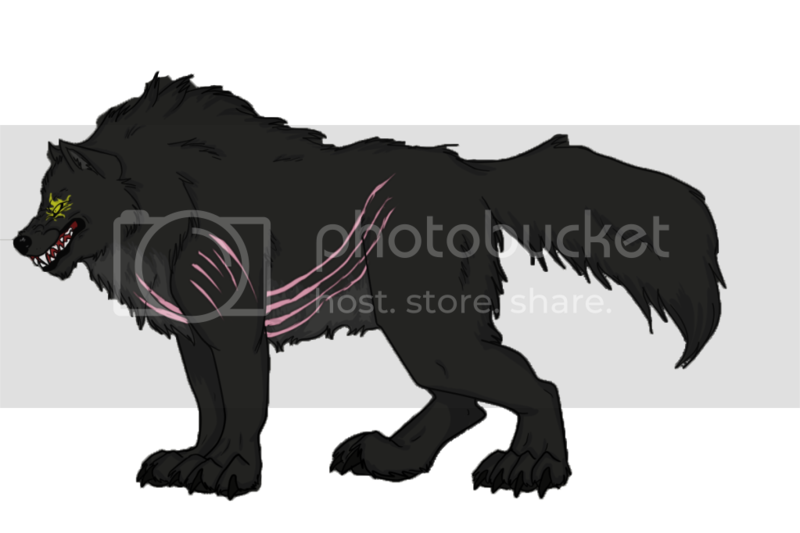 He fought to hide his suffering from his pack for many seasons until his body failed to move properly during the final battle of the Syndicate Conflict, resulting in his injury. Publicly embarrassed the Knight Patriarch decided it was time to retire after four years of leadership. In May 2015 Jazper moved to Midnight Shores to become Skye Collins' official mate and quietly live out the rest of his years. Currently, he resides there peacefully as an Elder. As a fresh pup he was stubborn and impatient always ready to move and fight. Later on he met Dierdre and became shy after his parents death. He kept a love of asking questions. As he grew he became more confident with the help of his adoptive parents. After his adoptive parents left Crimson Dreams he became even more independent and dedicated to his work within the pack. He later left Crimson Dreams to form . As a result of this his mate Ghita Marino refused to follow him, ending the mateship. 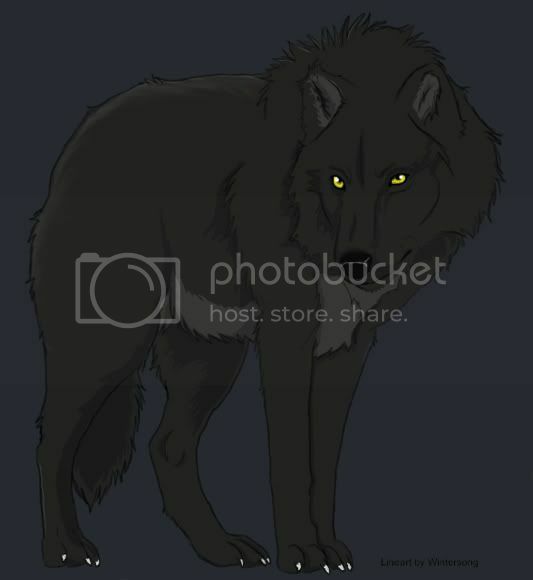 For the rest of the Fall Jazper will be obsessing over the pack to try and take his mind off of his broken family. Now that he's an adult Jazper has become very well mannered, easy going, and opinionated. He feels like he must protect the members of his pack at all costs because they are the only family he has left. He is very interested in human creations, collecting musical instruments and weapons as a hobby. He has also tried his hand at basic repairs. Jazper is generally an over sized teddy bear but has the tendency to take words and actions to heart as well as be overbearingly protective when it comes to his family and pack. Beware that you don't get on his bad side because he still has a Scottish temper! Member of the Knight and Damaichu families by blood, adopted into the Rhiannon family. Skye Collins and Jazper have had an on and off romance since June 2013. In March 2014 they agree to an ongoing romantic partnership^^, and in May of 2015 Jazper moved to Skye's pack Midnight Shores and they officially became mates. 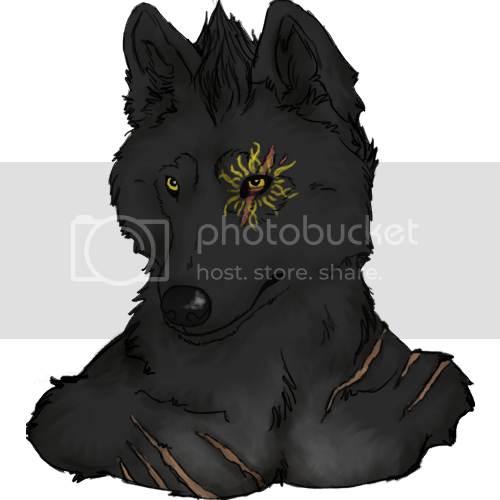 Eyes: Bright Gold , Left eye has a yellow sun tattoo around it. Black coat, Gold eyes, Very large in build, typical warrior body. Black coat, golden eyes, very large and broad. He is rarely ever in this form. At 4 foot tall his Secui form can easily take down medium prey and is used for hunting or when he feels it is appropriate to be in a form down on all fours. He prefers never to go into his full lupus form. His preferred form. Usually found in baggy beige knee length shorts and a powder blue button up, with his black leather knife belt. He has two knives on this belt, a smaller black handled carving knife and a larger small sword with a red curved handle and a black leather sheath. His black mane is fashioned into a short mohawk. He generally is found in this form walking through Halifax, or around the territories, or simply in his room.He also carries around a large camouflage backpack filled with odds and ends.